You choose when and where to learn with Online Mini Series Courses from CPD Solutions. Live sessions are combined with unlimited access to all of your course materials online for a full 12 months. Each Online Mini Series Course gives you 8 Hours of fully flexible CPD in a specific subject area. There are courses designed for vets and a range just for veterinary nurses. Browse the range and choose which areas you’d like to get up to date in. Online Mini Series Courses for Vets can be found here. 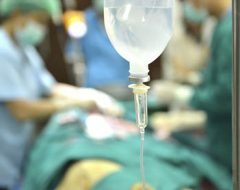 There’s a huge range including the highly popular Abdominal Ultrasound; Thoracic Radiology; Ophthalmology Case challenges; Emergency Surgery and many more. 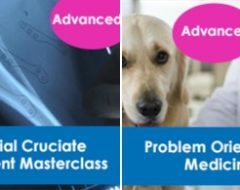 Join the hundreds of vets who’ve completed an Online Mini Series Course and refer to your presentations whenever you have a relevant patient. Nurses also have their own extensive range of subject areas including Anaesthesia, Behaviour and Rehabilitation. If you’re a paying member of one of our Webinar Clubs, please contact us before booking as you get a special rate for each Online Mini Series Course.